SECAUCUS, NJ (January 26, 2010) - Panasonic today announced the introduction of the LUMIX DMC-ZR3, a fully-featured digital camera complete with AVCHD Lite High Defintion (HD) video recording capabilities, a25mm ultra-wide-angle Leica lens and a powerful 8x optical zoom - giving consumers a wide-range of shooting options, yet in a slim body that is small enough to fit in a pocket or small purse. New to the ZR-Series this year, Panasonic also introduces Intelligent Zoom, which extends the LUMIX ZR3's zoom to an impressive 10x. The Panasonic LUMIX ZR3's incredible 8x optical zoom is not found on many conventional point-and-shoot cameras, especially ones that are approximately 1-inch thick. With a powerful zoom, users will be thrilled with the close-up shots they are able to take. And for an added boost, zoom power can be increased to 10x with Panasonic's new Intelligent Zoom function, which takes advantage of the newly-added Intelligent Resolution technology. Intelligent Resolution, a component of Intelligent Auto mode, helps to maintain optimal picture quality by capturing higher quality signal processing and through the detection of three areas - outlines, detailed texture areas and soft gradation - examining them pixel by pixel to enhance any degradation created during the digital zoom process or in high-sensitivity shooting. As a result of Intelligent Resolution, images are naturally clear and crisp in both photo and video recording. 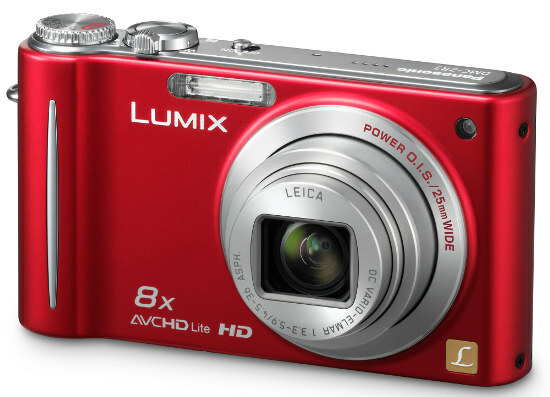 The LUMIX ZR3 takes video recording to the next level with its AVCHD Lite HD video format. Featuring double the recording time in HD quality compared to the conventional Motion JPEG format, and offering Dolby Digital Stereo Creator to record high-quality audio, the LUMIX ZR3 is perfect for capturing those spur-of-the-moment video opportunities in high-quality. With the newly-added Video Divide function, users can cut their video into two sections on the spot - within the menus of the camera - to shorten or delete the unwanted half. *The "AVCHD" is a high definition (HD) digital video recording / playback format jointly established by Panasonic Corporation and Sony Corporation. The "AVCHD Lite" is a subset of the "AVCHD format" for HD digital video cameras with HD video recording restricted to 720P. The new "AVCHD Lite" Logo and the "AVCHD Lite" License are restricted to devices within the AVCHD Video Camera category. Digital cameras have been added to the AVCHD Video Camera category. 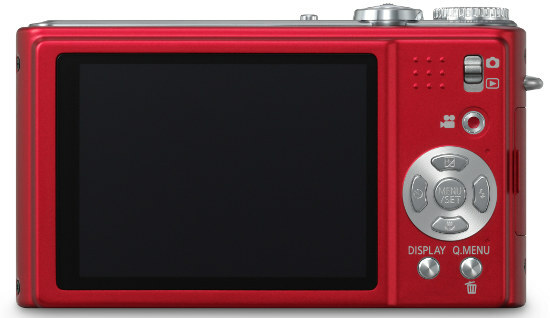 *The "AVCHD Lite" and the "AVCHD Lite" logo are trademarks of Panasonic Corporation and Sony Corporation. *The LEICA DC VARIO-ELMAR lenses are manufactured using measurement instruments and quality assurance systems that have been certified by Leica Camera AG based on the company's quality standards.